The first draft of Brave in Heart is complete. Here is a teensy-weensy teaser of the conclusion. 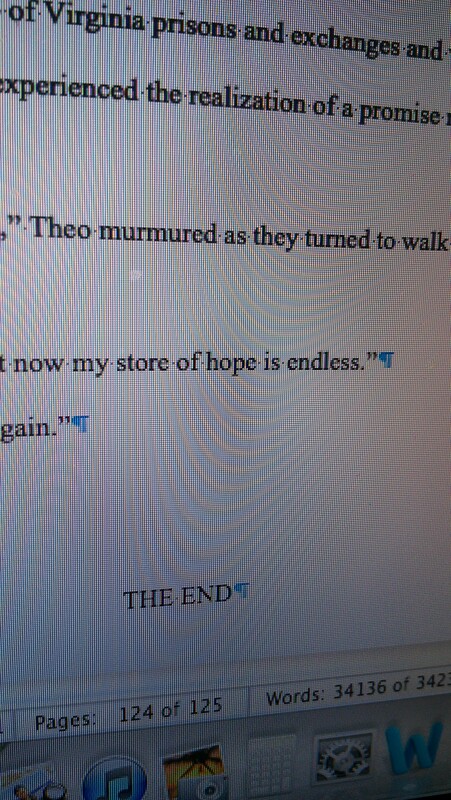 Aren’t “the end” the most beautiful words in the English language? Brave in Heart has been entered in the Novellas Need Love Too contests. Because, yes, I have a a contest entering problem. But also, I crave feedback deep in my soul. I’d like to finish The Easy Part during NaNoWriMo — and yes, I know it’s not technically within the rules to to finish something you’ve already started, but oh well — and then start the second book in the Dauntless Love series in December.